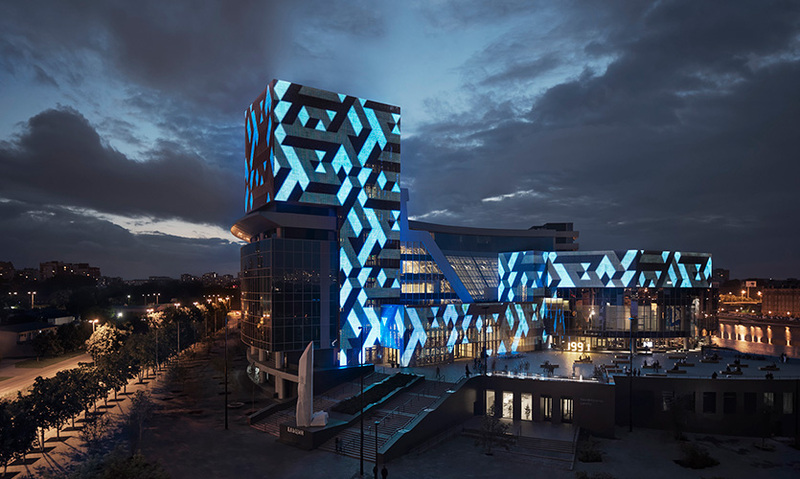 The Presidential Center opened in Ekaterinburg and features a complex media façade. The Center is a museum with an art gallery, a cinema, a bookshop, a library, a restaurant and other public facilities. 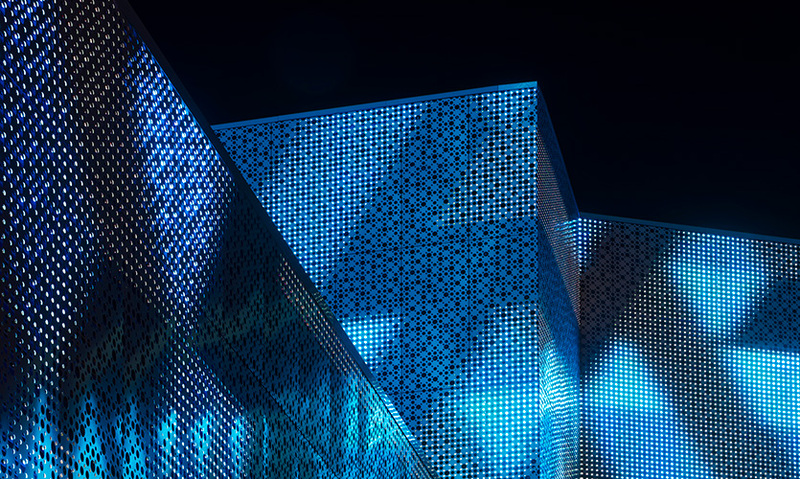 Through the collaboration with the architect, the backend technology of the media façade is nearly invisible. 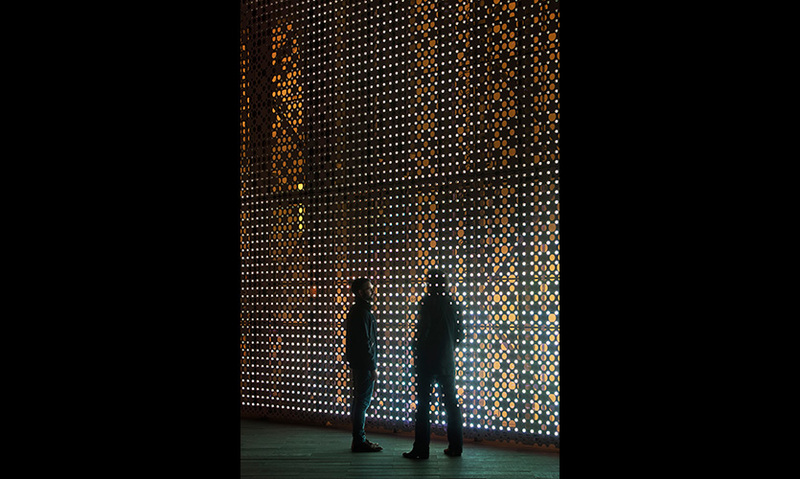 The curtain wall is made of a perforated steel sheet, with a symmetrical round sequence of openings. The façade is open to 60% of light transmission. The success of the media façade can be seen by the countless videos and pictures posted to YouTube and Instagram. The client requested 20 separate pieces based on architecture, nature, urban spaces, culture and art. Every single pixel spread over the surface can be played simultaneously. 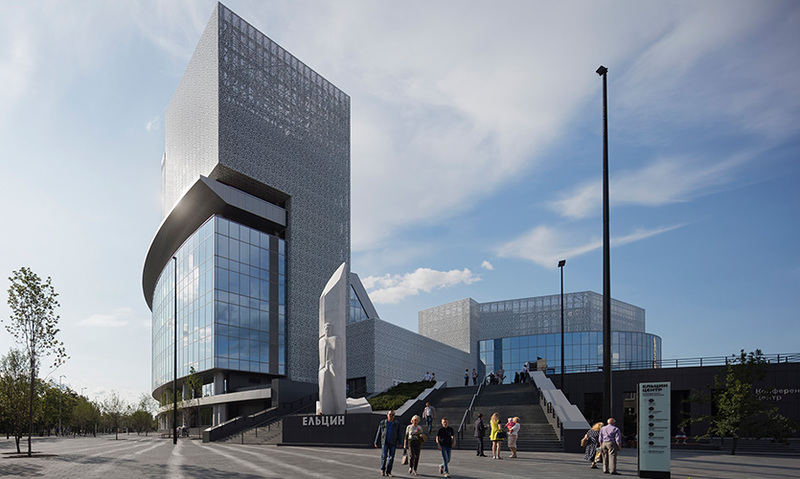 In January 2016, the Presidential Center honoring Russian President Boris Yeltsin opened in Ekaterinburg that features a complex media façade. The Center is a museum with an art gallery, a cinema, a bookshop, a library, a restaurant and other public facilities. The Boris Yeltsin Presidential Center is built at the site of a former department store complex in Ekaterinburg, where the politician got his start. The site was chosen by the Yeltsin Foundation and the family of the former President, primarily his daughter, Tatyana Yumasheva, who dedicated several years to organizing the creation and content development of the center prior to its opening. In the Spring of 2013, the redesign of the existing building started. Part of the overall design solution is the curtain wall, which lay over the entire building as a connecting element and as a brand platform. 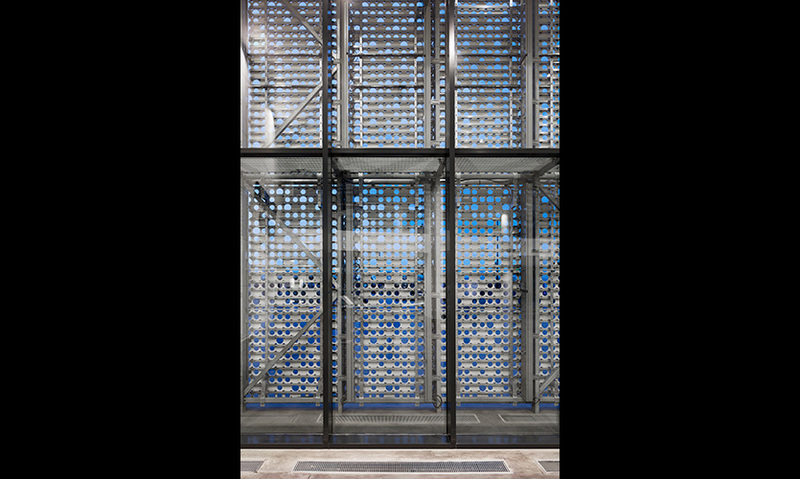 The curtain wall is made of a perforated steel sheet, with a symmetrical round sequence of openings. The façade is open to 60% of light transmission. Freedom and openness were the qualities, which Boris Yeltsin wanted to strengthen in the Russian society during his term, so the Lichtwerke GmbH team ensured they were evident in the design of the façade. 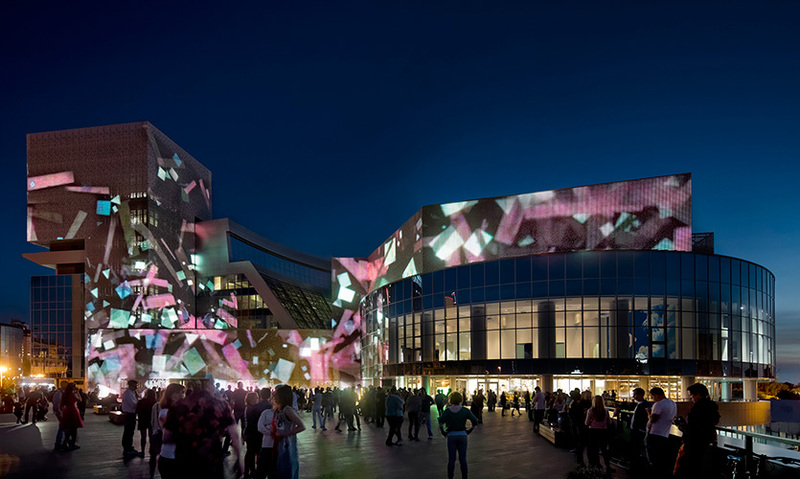 The media façade has a surface of approximately 2,500 square meters of video capable LED-RGB pixels with a pixel pitch of 100 to 100 mm. All image pixels are horizontally installed on IP67 aluminum with a substructure with a distance of 5 mm to the upstream sheet metal. The entire façade has the quality of a high-definition video wall. Every single pixel spread over the surface can be played simultaneously with 25 frames per second and a refresh rate of 60 Hz. 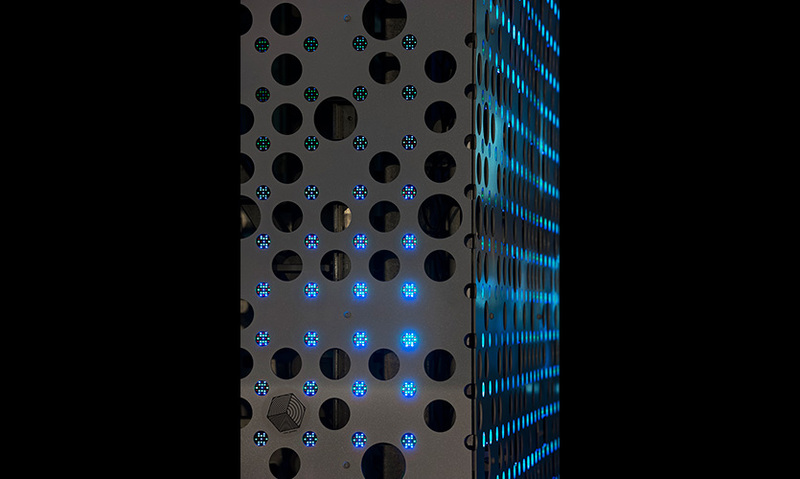 To make playback possible, there is a powerful media server that powers the 770 data controller with all the picture information via fiber optic cables and a connected PC. 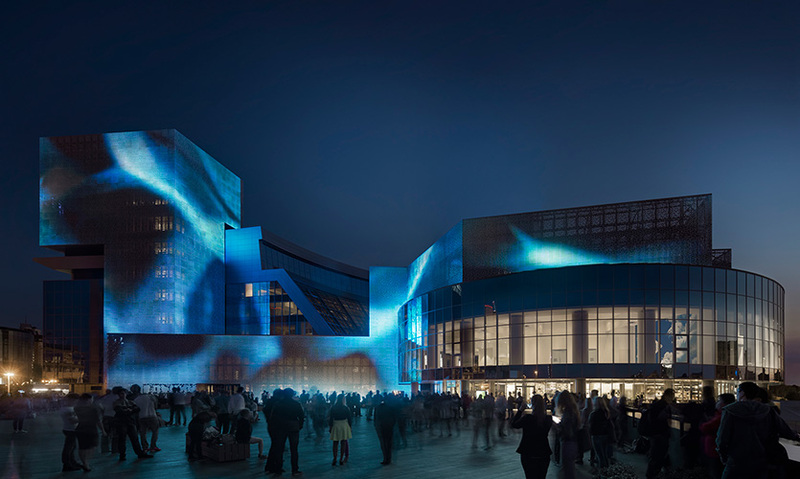 Through the collaboration with the architect, Boris Bernaskoni, the backend technology of the media façade is nearly invisible. The content for the media façade was chosen by client Yumasheva. She requested 20 separate pieces based on five topics: architecture, nature, urban spaces, culture and art. Visuals like perpendicular lines, buildings, clouds, handicrafts and Russian tea are featured as well as the work of well-known Russian artists. The production of the digital media content was a combined effort using analog techniques, from photographing gold pigment in oil to building complex scale models to get the shot before the post-production digital editing began. The goal was to give the inhabitants of Ekaterinburg something that they own and can identify with, and the media façade accomplished that. The success of the media façade can be seen by the countless videos and pictures posted to YouTube and Instagram. "I enjoyed seeing the creation of the the digital content that was applied to the building. 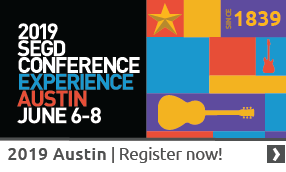 It's impressive to see how the graphics were applied to all surfaces, it literally comes alive." "The movement and fluctuating nature of this façade is truly breathtaking, but another level of excitement appears when viewing the behind-the-scenes. The fabrication of the screen elements is beautiful, even when viewed up-close, and watching the team create the footage is quite interesting."